Rusty, an apparel brand in the space of fashion forward clothing centered around surf, snow, skate, and the wake culture has launched the Wired Series of Hoodies with integrated headphones. After we have seen the HoodieBuddie™ a few weeks ago this is the second brand that used the draw cord of a hoodie to act as headphone cable system with ear-buds at the ends of the cord. 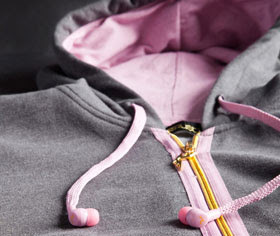 The cable is routed inside the hoodie to a media pocket with an 3.5mm audio plug to connect to almost anything the portable music player world has to offer, the iPod and iPhone, cellphones and MP3 player of all flavors. The headphone draw-cords are completely machine washable, no need to take out the wire when you throw it in the wash. I fell in love the first time I have seen such combination of drawstring turned headphones and this one will be on the top spot of my Eid wish list. No dangling of headphones wires , no need to do a cable management myself by stuffing the cable inside a hoodie, sweater or jacket and it looks cool. 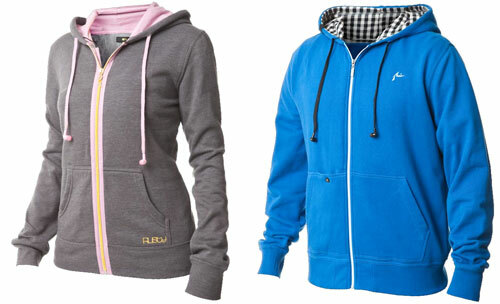 Available in different styles and colors for men and women with prices starting at $49.50 like via this online store.